I've been MIA lately. And I really do mean "missing-in-action". I've been in the trenches with new school routines, church pressures, broken relationships, almost-2 year old antics, and a thousand other little battles each day. I've felt overwhelmed and burnt out. My main goal for each day has simply been to survive. Maybe you can relate? Maybe you're exhausted, fed-up, and stressed too. 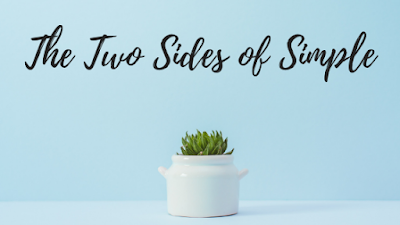 While I am not currently sitting in a life of peace and tranquility (in fact, it's taken me 4 or 5 tries to get this post written), I have been slowly learning some important things during my last couple weeks of silence here. 1. God's blessings are found in both the beautiful and broken things in life. It's easy to find them perfect weather or unexpected gifts. It's harder to see His goodness in back-to-back viruses brought home from school. Instead of constantly desiring to get rid of my struggles, I'm learning to seek His unchanging character in the midst of the circumstances surrounding me. "In this world, you will have trouble, but take heart! I have overcome the world!" I can rest in His triumph over all sin! He is already the conqueror over my chaos and stress, and that, my friends, is a blessing! 2. My life can be so busy with good things that I fail to choose the best thing - Jesus. This lesson seems to be hitting me from everywhere lately. On Monday nights, I've been taking an extended period of time for Bible study and prayer after the kiddos are in bed. I'm reading Having a Mary Heart in a Martha World . It's been on my bookshelf for quite sometime, but I have been too busy to read it! 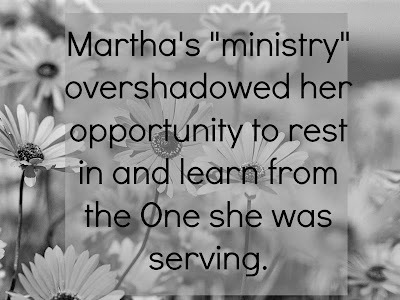 Martha wasn't busy with sinful or vain things, in fact, Scripture says that she was busy with serving - ministry. She was stressed with the preparations that needed to be made for her special guests. 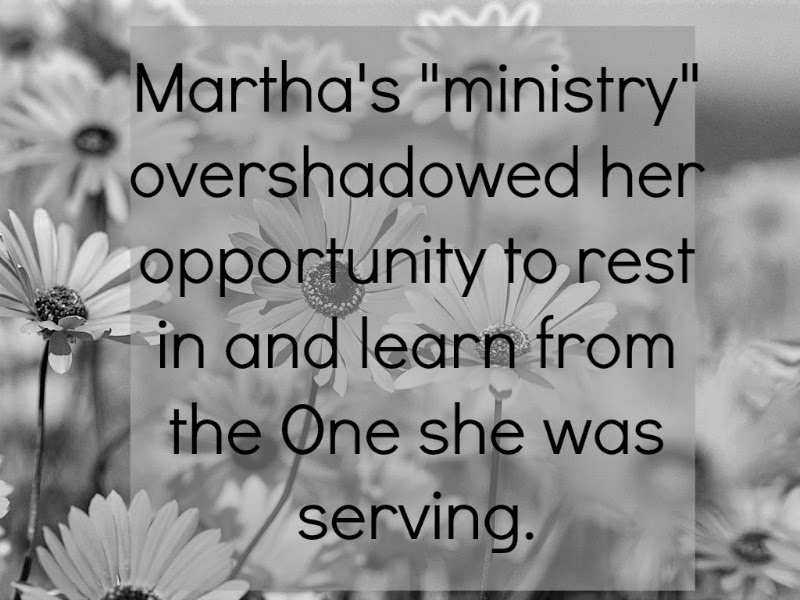 It was this "ministry" that overshadowed her opportunity to rest in and learn from the One she was serving. She, in essence, was to busy for Jesus. God needed me to hear it again, though, when I listened to this interview with Kevin DeYoung called When You're Too Busy to Be Godly. If you have 9 minutes, it's definitely worth the listen, but he brings out that one marker of being too busy, is failing to have time for quiet, uninterrupted time at the feet of Jesus. We have to have a strict idea of our priorities to determine what is best vs. simply good. He says, "Until we know the things we won't do, we won't actually do the things we say we should do." 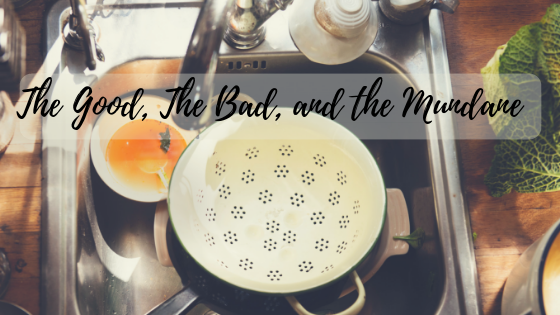 We have to have a strict idea of our priorities to determine what is best vs. simply good. He says, "Until we know the things we won't do, we won't actually do the things we say we should do." Saying, "yes" to everything doesn't make us better Christians and it doesn't make life more fulfilling. Jesus says that true fulfillment, peace, and joy comes from saying "yes" to Him! Practically, this has caused me to refine my priorities even more. Honestly, I've been a little embarrassed and even uncomfortable as I'm learning to say "no" to good things be able to say "yes" to the Best Thing. 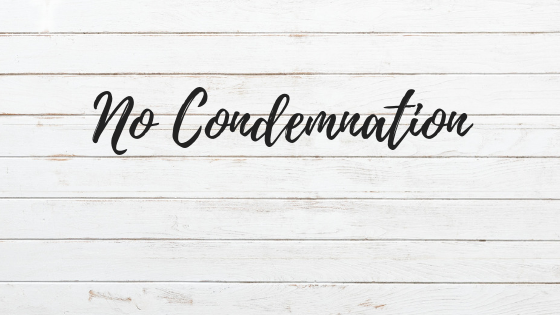 I'm trying to remember what my husband has said several times lately, "Sometimes, one of the most spiritual things we can do is say 'no'." If you've made it to the end of this post, thank you for letting me share a little of my heart with you today. I'm so very thankful, God has given me this little online space to document His work in this season of my life. I'd love to pray for you if you are struggling right now. Please share in the comments or send me an e-mail. We can lift one another up as we transform our Martha-hearts into Jesus-seeking hearts one day at a time.